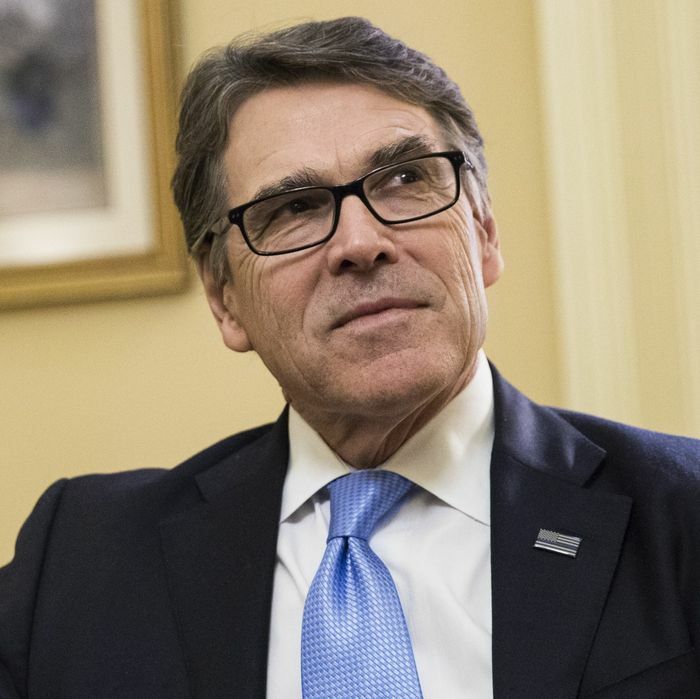 Though he’s started wearing trendy glasses, Rick Perry is still haunted by the suggestion that he’s not that smart, mainly because he forgot that the Department of Energy was the third federal agency he’d like to abolish. A nuclear physicist currently holds the role, and a Nobel Prize-winning physicist held the job before that. Perry’s background is a bit different: He studied animal husbandry at Texas A&M. He also once frolicked to the “Green Acres” theme on TV’s Dancing With the Stars. McKenna pushed back after the report sparked another round of mockery, telling the Daily Caller that the Times’s headline and lede “don’t really reflect what I said.” He added that “of course” Perry knew what the Department of Energy does. He didn’t elaborate on how his remarks were intended, but there is a more generous interpretation. One can certainly make the argument that Perry has no business being energy secretary (and senators will likely make that point repeatedly on Thursday). But doesn’t Perry deserve a tiny bit of credit for being smart enough to realize he should be focusing on the most dangerous weapons on the planet?